Many institutions let you apply for a mortgage online. 2. What Are the Steps in Closing on a House? As a rule, homeowners and real estate agents ask for proof that a lender has pre-approved a buyer for a mortgage before they agree to show the property they have on the market. The practice protects the seller from unsavory surprises. It also clarifies for home buyers the maximum price they can afford on their income. Before lenders issue loan pre-approval letters, they review prospective home buyers’ credit history, obtain proof of their income and verify the ownership and value of the assets the applicants declare. But because such unpredictable events as medical emergencies, job layoffs and investment losses can quickly change a buyer’s financial status, lenders establish an expiration date for the pre-approval letter. The lending institution decides how long its pre-approval letter is good for. If you still haven’t found a house past the expiration date, you must submit updated documentation to the bank for a new letter. In an article for SmartMoney.com, real-estate columnist Lisa Scherzer says that typically a loan pre-approval is valid for 90 days. Ask the mortgage officer assisting you when your letter expires. 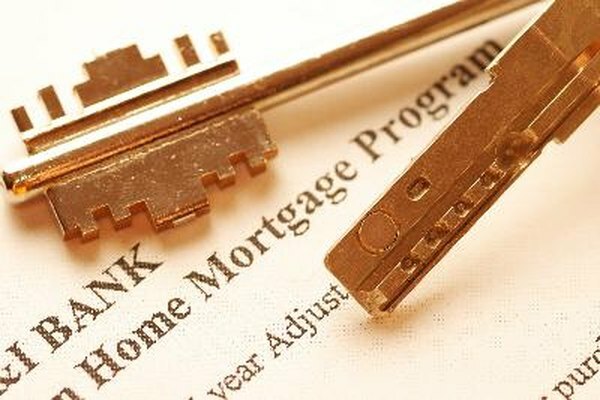 The mortgage pre-approval letter lists the duration of the loan the prospective buyer pre-qualifies for, how much money he may borrow and at what interest rate. This information helps buyers to narrow their house search to the properties whose price falls within the loan’s limit. On its website Realtor.com, the National Association of Realtors also says that being pre-approved expedites the home-financing process after a buyer’s offer on a house is accepted. According to the organization, prospective buyers usually get only 10 days to apply for a loan from the day they find a property -- hardly enough time to screen lending institutions and sort through all the mortgage packages available. The pre-approval letter verifies for the seller that the buyer is creditworthy. This prevents the disappointment that comes when the buyer cannot obtain a loan after his offer is accepted. Besides, considering all the paperwork involved in obtaining the pre-approval, the letter also confirms that the buyer is serious about purchasing a house, not simply curious to see what it looks like inside. Make an appointment with a loan officer at two or three mortgage lenders. Find out in advance what documents you should take along. At a minimum, be prepared to provide bank statements, tax returns, W2s and pay stubs, your Social Security number and revolving-debt balances. After reviewing your records, the loan officer tells you what mortgage programs you qualify for and helps you to choose the one that best suits your current situation.